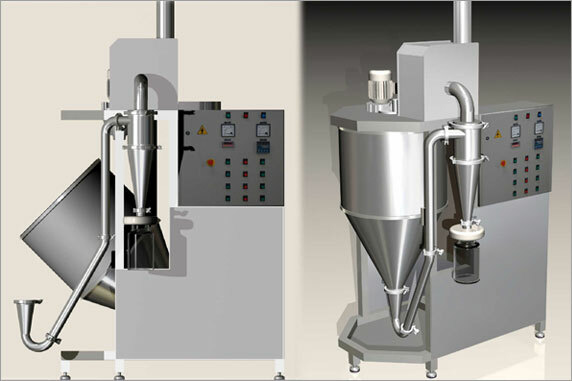 When the word is versatility, fast development of new products or small production of a great variety of powders, using the same equipment, Spray Dryer DR-0,3 is the answer. With a new patented design and innovative model that makes easy the access to all its pieces and a fast and deep cleaning of reduced dimensions with atomizer by rotary dial, that makes possible a larger representativeness that allows to test and develop its new products in smaller scale of time and space. The Spray Dryer DR-0,3 patented and produced 100% in Brazil is a laboratory of rehearsals within your reach to activate your business. 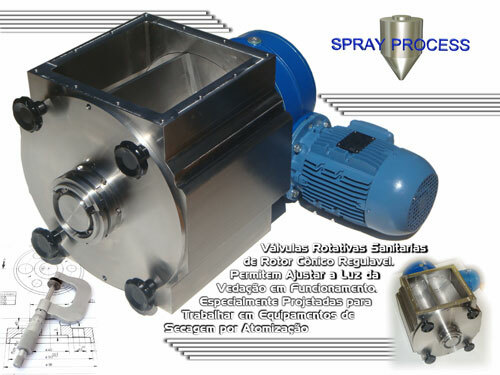 Spray Process has projected and developed the sanitary Rotary Valves with conical rotor, which makes possible the tuning of the gasket light in operation, maximizing the system, for the most varied types of powders and different work temperatures. That tuning also allows to adjust the wear and tear produced by the use, maintaining an appropriate gasket for several years of operation. These valves are dimensioned specially for the operation in Spray Dryers, of robust construction and manufactured exclusively in steel specific inox. 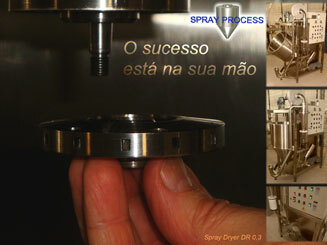 Fast manual rotor dismantling for easy cleaning, external armored bearings and gasket gazettes in PTFE. This line of valves is manufactured in Brazil with export quality to assist the most demanding patterns of applications in the whole world.